Longmont Appliance Repair proudly serves Boulder County Colorado and cities in the area. We focus on customer care and close attention to detail in our family owned and operated appliance repair service. We appreciate the trust our customers place in us and do all we can to earn that trust and receive their business. You are in great hands with our local and certified repairmen. These skilled technicians go through continuous education and training. With years of experience to boot, these repairmen can perform any household appliance repair. And we are up to date on all new brands, technologies, and models. For residents of Longmont, we offer same-day repairs. We are proud that we almost always complete our washing machine repair, refrigerator repair, dishwasher repair, oven repair, and any other services on the same day that you call and on our first service call to your home. The brands we routinely repair are Kenmore, Maytag, LG, Samsung, Whirlpool, GE, KitchenAid, Wolf, Sears, Bosch, Sub-Zero, Frigidaire, and others. See the FAQ below. We stock our vans with the necessary manufacturer parts and we offer a 12-month warranty for all parts and labor so that we can guarantee your satisfaction! Longmont Appliance Repair fixes all common refrigerator and freezer problems for all the major models and brands. We can repair touch panels, water dispensers, burnt-out bulbs, leaks, cooling issues, condensation, loud noises, smart technology, ice makers and more. Our certified repairmen will identify the problem and then use the correct manufacturer parts to complete the repair on your refrigerator. Our community appliance repair business is always available to fix broken stoves or range hoods. We routinely repair both gas and electric models and deal with all the issues related to doors, relays, switches, ignitors, burners, bulbs and more. 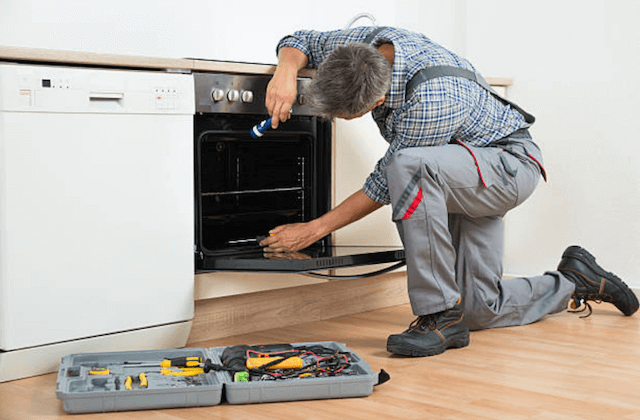 Our technicians carry all the tools and have the training to fix all types of ovens the same day and on the spot! And, we are up to date on all the newest models. When your dishwasher breaks down you can schedule our service for same-day repair as well! We know how to diagnose and repair common dishwasher problems including – cloudy float switches, impellers, glassware, odors, pump assemblies, solenoids, and other parts. Dishwashers are complicated appliances and a lot of issues can go wrong with the wash cycle oven prevent drying. Call us to fix your dishwasher problem the same day. It is very inconvenient to have a broken washer or dryer. Before you get in the habit of going to the laundromat or letting the dirty clothes pile up, call us for same-day repairs. We will send a certified repairman who will arrive on-time and quickly make the needed repairs. We repair both front-loading and top-loading machines. Issues we address include agitation, noise, door, switch, control board, vibration, and vent issues. Same-day dryer repair or washer repair is what we routinely do at Longmont Appliance Repair. “You won’t find a more trustworthy or reliable appliance repair company in Longmont. I guarantee! Very happy with the service I received.” – Olivia T.
“Avoid buying an expensive new appliance if you can and give Longmont Appliance Repair a call instead. Their prices are reasonable, their service is excellent and there’s no arguing with the results they provide.” – Elizabeth D.
“From now on, I will always recommend Longmont Appliance Repair to friends and family!” – Sandra A.
Q. 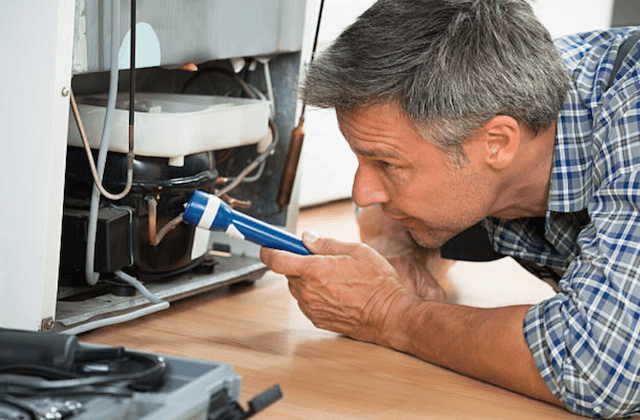 SHOULD YOU REPAIR OR REPLACE YOUR BROKEN APPLIANCE? A. When you have a broken appliance, there are two choices. You can schedule an appliance repair call and see if the problem can be fixed at a reasonable cost. Or you can simply replace your broken stove, refrigerator, washer and dryer, or dishwasher with a brand new one. The bottom line here is that all appliances have an expected lifetime. If your broken appliance is in the middle or early part of that lifetime, we usually recommend scheduling a repair call. If your appliance has put in years of service and has finally given up the ghost, we typically recommend getting a newer model. Q. DO YOU HAVE GUARANTEES AND WARRANTIES? A. On all parts and labor, we have 12-month warranties. 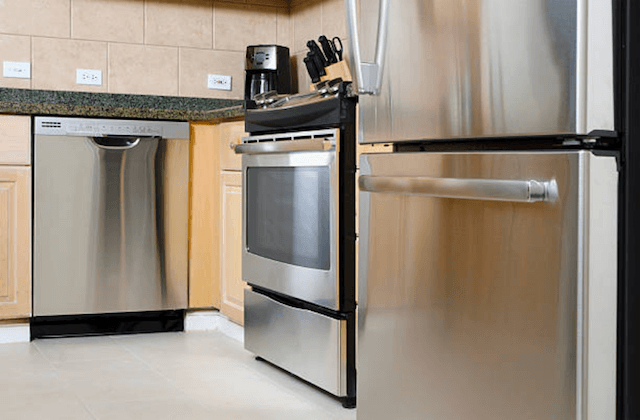 The parts we use for GE, KitchenAid, Sub-Zero, LG, Frigidaire, Kenmore, Whirlpool, and several other popular appliance brands are manufacturer parts. We do this because the parts are of better quality and because using them preserves the manufacturer’s warranty. And, if any problem persists or recurs after our service call, let us know right away! Q. WILL YOU REPAIR MY APPLIANCE ON YOUR FIRST SERVICE CALL? A. Over the years, we have completed more than 95% of our appliance repair jobs on the first visit. This is always our goal. To this end, we stock our service vans with more than 90% of the most commonly used manufacturer parts and all of the needed tools to do your repairs on a single visit. And, if we need to come back a second time; there is never an extra service charge. Q. WHAT IS YOUR TIMEFRAME FOR A SAME DAY SERVICE CALL? A. We will give you a two to three-hour window during which the repairman will be at your home. We appreciate the value of your time and always do our best to arrive when scheduled. We have found that be scheduling a “window” our technicians can reliably finish one job before going on to the next. When our repairman finished the job before yours he will call ten to fifteen minutes in advance of his arrival at your home. Q. DO YOU HAVE A LIST OF THE BRANDS OF APPLIANCES THAT YOU REPAIR?